Armadale Capital Plc (AIM:ACP), the London-based investment company, has secured an agreement with Africa Mining Contracting Services Group (A-MCS) worth $20 million. The funding enables ACP to finalize all outstanding items in bringing its flagship Mpokoto Gold Project into production by mid-2016. ACP is focused on developing a portfolio of investments, targeting natural resources in Africa by identifying businesses with high-growth potential, and taking an active role in advancing that potential to fruition. A-MCS is an established miner that undertakes mining activity as well as other logistical functions to help explorers become producers. ACP holds an 80% interest in the Mpokoto Gold Project in the Democratic Republic of the Congo (DRC) and also holds a 36% interest in Mine Restoration Investments Ltd, a South African listed company, which aims to develop profitable operations through its coal briquetting operation in KwaZulu Natal and acid mine drainage project in the Witwatersrand basins in South Africa. 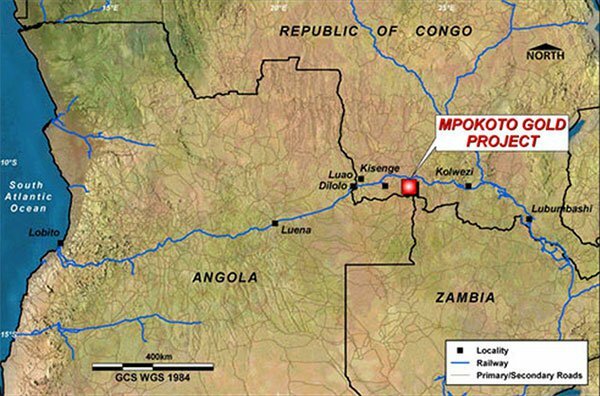 The Mpokoto Gold Project is located in the Katanga Region of the DRC with a JORC Indicated and Inferred Resource of 678,000 oz Au from 14.58 million tonnes at 1.45g/t Au. Given current estimates, ACP is looking to produce approximately 25,000 oz Au per annum over a nine year mine life (225,000 tonnes total). Mpokoto has an established overall Exploration Target of between 11.4 and 17 million tonnes which ACP wants to utilize by bringing a low capex, high grade gold operation into production with costs expected to stay below $650/oz. The results of a recent Expanded Scoping Study demonstrated a post-tax net present value of US$55.3 million based upon a discount rate of 8% and a gold price of US$1,250/oz. According to the most recent drill results, ACP estimates that an additional exploration target of 2.4-3.0 million tonnes grading 1.25-1.5 g/t Au has potential to yield a further 120,000-150,000 oz to the existing 225,000 already targeted. ACP has signed a Heads of Agreement (HOA) with Africa Mining Contracting Services Group (A-MCS), which will see A-MCS provide at least US$20M of loan financing. Under the terms of the deal, A-MCS will work with ACP and its principal consultant, Bara Consultants, to navigate the Mpokoto project through a Definitive Feasibility Study (DFS) and use those results to finalize the agreement. A-MCS will act as the primary contractor for the Mkopoto project and site works for the DFS. The HOA is part of defined development strategy to rapidly advance the Project through to low capex, low opex gold production by the second half of 2016. A-MCS has agreed to introduce investors to provide at least US$20 million of loan finance to cover the capital costs of constructing the Mpokoto Project. The key components of the capital cost identified in the scoping study were US$8.25 million for the processing plant, US$3.75 million for associated infrastructure and US$8.5 million for infrastructure. The final agreed amount of funding will be subject to the agreed results of the DFS. The Agreement sets out the indicative terms of the financing, which it is proposed will be provided by a way of loan notes secured over the Project at an interest rate of 12.5% and repayable anytime up to 36 months after the provision of the loan. The Mpokoto project comprises four Mining Licences which are valid for an initial term of 30 years from 30 September 2014. Significant further upside is anticipated with an exploration target of 2.4-3.0 million tonnes grading 1.25-1.5 g/t Au which the Board estimate should yield an additional 120,000-150,000 oz in addition to the circa 225,000 oz earmarked for production over the coming 9 years. A proposed drilling programme is already planned targeting primary mineralisation and down dip mineralisation beyond the present pit limits. Drill work is continously ongoing with recent drilling highlighting the possibility of extensions of high grade mineralisation at less than 30 metres below the surface (27.9 metres @ 7.8 Au g/t Au). Further drilling will target near-surface ‘along strike mineralisation’ which has the potential to substantially increase current pits to the north-west. Its worth noting, that the project is part of a substantial 800,000 hectares of exploration licences yet to be explored. ACP is currently finalising a DFS on the Project which advances the work already undertaken as part of the Expanded Scoping Study. The next 6-12 months is likely to be a very active time for ACP as drill results, exploration work and a DFS become the key catalysts going forward. With a partnership deal now agreed, this agreement with A-MCS adds a significant amount of certainty that the Mpokoto project will be completed as planned, with production commencing next year. 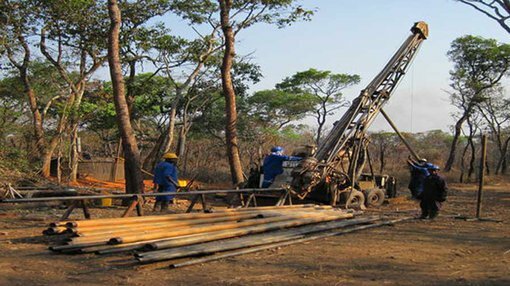 ACP is due to start a 2,500m drilling programme in late July 2015 and undertake further analysis of the geological work conducted to-date with a view to increasing the current 678,000oz gold JORC resource and optimizing the already compelling economics of the Mpokoto Gold Project in the DRC. The ‘Reverse Circulation’ drilling programme will be conduced to identify new exploration targets in order to expand ACP’s total Resource size. The drilling programme will also help ACP better understand previously-found mineralisation areas underneath the ground. With production due to begin next year, ACP is now keen to finalise its DFS and move onto building a mine which is expected to take 6-12 months. Mine Restoration Investment Limited (MRI), a South African investment company, has entered into a memorandum of agreement to acquire up to a 39.2% interest in Iron Mineral Beneficiation Services Proprietary Limited (IMBS).In conjunction with the acquisition MRI is planning to raise ZAR200 million (£10.4m) through a private placement of MRI shares at ZAR0.07 per share. ACP currently holds almost 250M MRI shares which at ZAR0.07 per MRI share, values ACP’s investment in MRI at approximately ZAR17.5 million (£910,000). ACP has openly stated its intention to actively realize its investment in MRI which this deal now facilitates. Shareholder value for ACP is also likely to be strengthened vis-a-vis this deal.